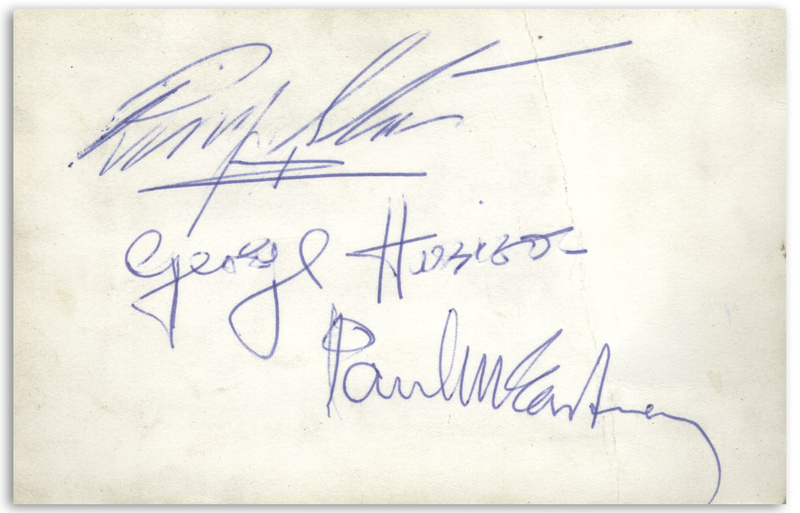 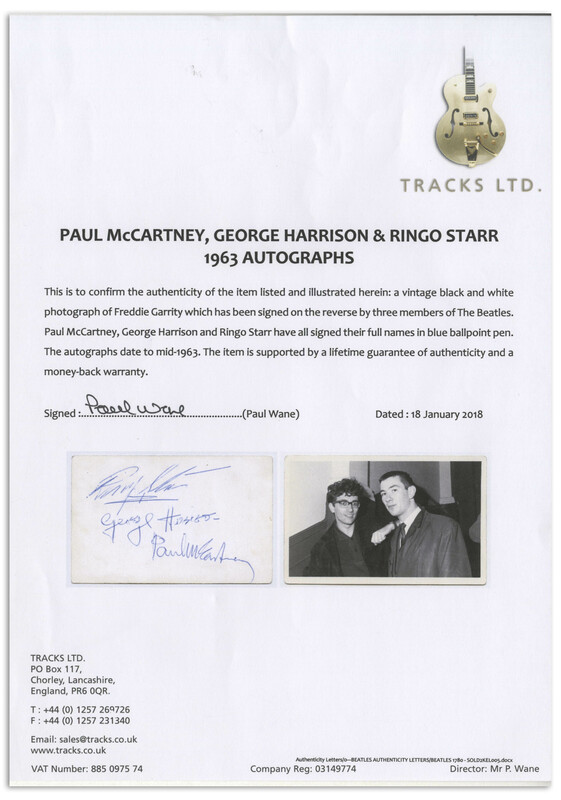 The Beatles 1960s signatures with John Lennon's autograph in red ink on a slip of paper, and those of Paul McCartney, George Harrison and Ringo Starr on the verso of a photo of Freddie Garrity. 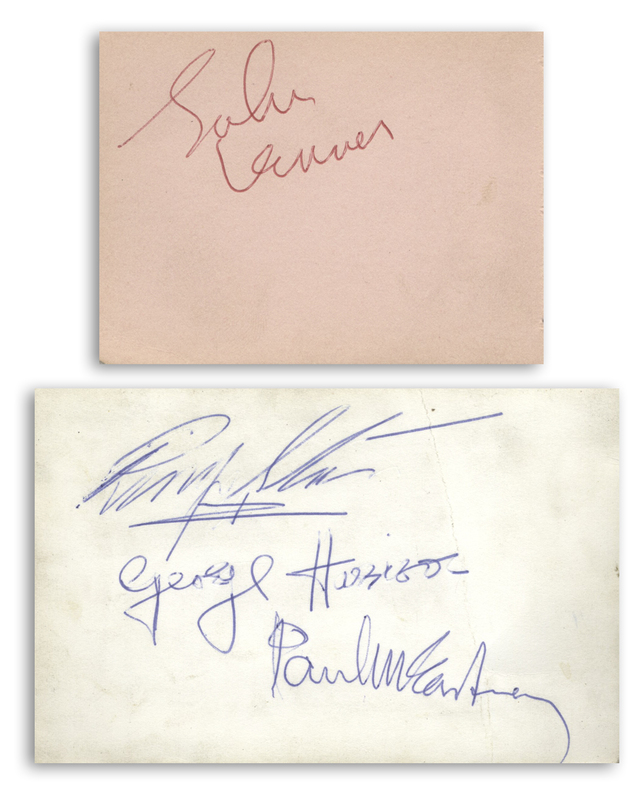 Lennon's signature dates to 1964 and the other three Beatles to mid-1963. 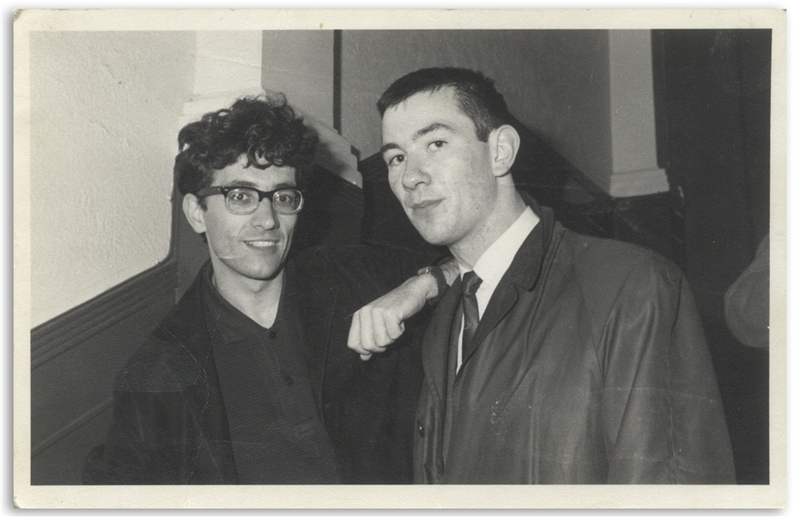 Paper with Lennon's signature measures approximately 4'' x 3'' and silver gelatin matte photo measures 5.5'' x 3.5''. 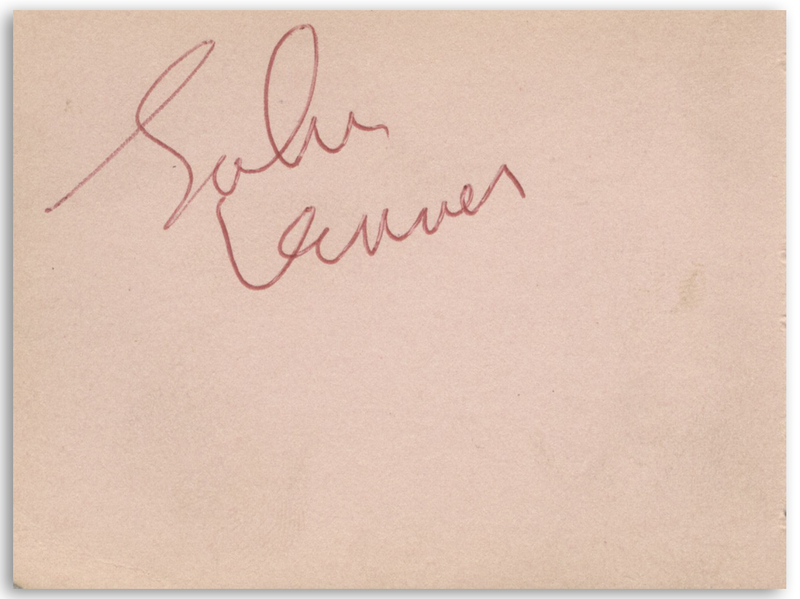 Light creasing to photo and minute soiling. 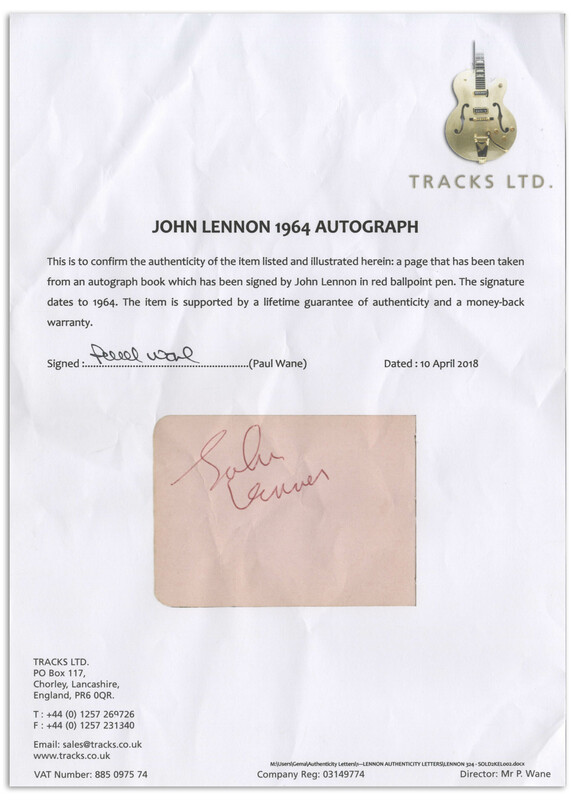 Very good condition for both pieces, and with two TRACKS COAs verifying all signatures.